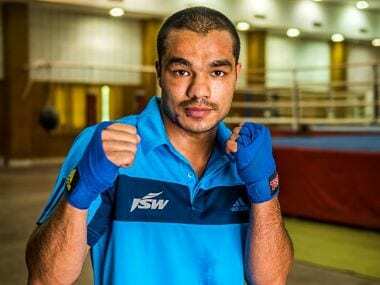 The seasoned Vikas Krishan and the fast-rising Amit Panghal advanced to the quarter-finals of the 69th Strandja Memorial Boxing Tournament for men and women, in Sofia, Bulgaria, on Wednesday. File image of Vikas Krishan. Former World and Asian Games medallist Vikas (75kg), who is making a comeback after recovering from a hand injury, defeated Morocco's Amer Gnifid to make the last-eight stage. World Championships quarter-finalist Amit (49kg), a gold-medallist from last month's India Open, won his last-16 bout, getting the better of Mauritian Sharvin Kumar. Also advancing to the quarterfinals was Manish Panwar (81kg), who beat a Moroccan in Mohammed Amin. 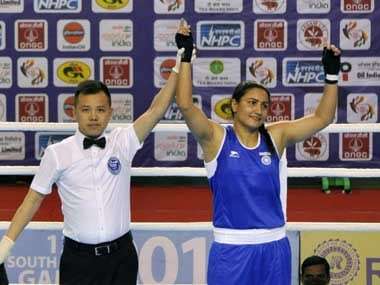 However, it was early ouster for veteran Manoj Kumar (69kg), a former Commonwealth Games gold-medallist. 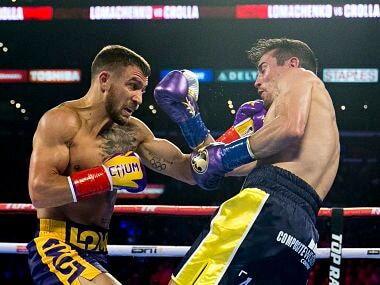 The 31-year-old went down to Morocco's Abdelkabir Bellassek in his pre-quarterfinal bout, which was also his first of the tournament. 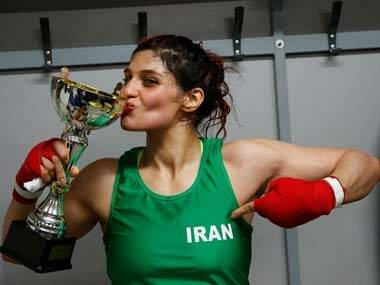 India are assured of four medals so far in the tournament courtesy women boxers — Seema Punia (+81kg), Saweety Boora (75kg), Mena Kumari Devi (54kg) and Bhagyabati Kachari (81kg). While Saweety and Meena won their quarterfinal contests, Seema and Bhagyabati got byes.